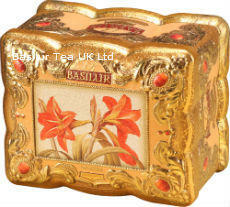 These intricately designed mini treasure chests are a perfect storage compartment for tea, jewellery or other small items. Once that is, you have enjoyed the contents of the pure Ceylon tea inside. 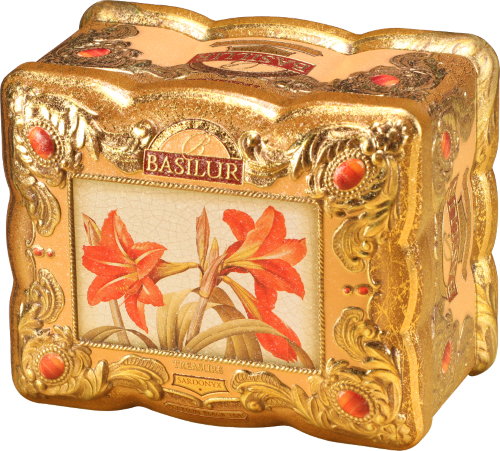 Basilur's Treasure Collection - is the perfect embodiment of a luxurious gift and keepsake. Enjoy the treasure of Ceylon's finest tea at its best! Ingredients: 100% Pure Ceylon green leaf tea with safflower, cornflower and flavours of orange & pineapple.